Annis Pratt’s novels are full of passion for the natural world and enthusiasm for the details of everyday life. Her invented worlds are more realistic than fantastic, and her speculative fiction imagines ways to live in harmony with each other and with our planet. Volume I. In The Marshlanders, the heroes—Clare and William—are adopted as children by a community of marsh dwellers and coastal farmers. William’s father—a pharmacist—is murdered by an alliance of clergymen and apothecaries. Clare, at the age of eight, barely escapes with her life when ministers work up a mob to kill her during a public shaming of her mother. Volume II. In Fly Out of the Darkness, Clare and William, relentlessly pursued by their enemies, flee north for safety. Clare, 17, finds herself pregnant and gives birth in the northern woodlands. 21 year old William barely escapes the dread Crocodile Militia and is imprisoned and tortured by his enemies. In despair over losing Clare, he decides to enter a monastery on the refuge island of Cedar Haven. Not only Clare, but her daughter Bethany as well, make it to Cedar Haven. Will she recover mentally? What about William’s vows? 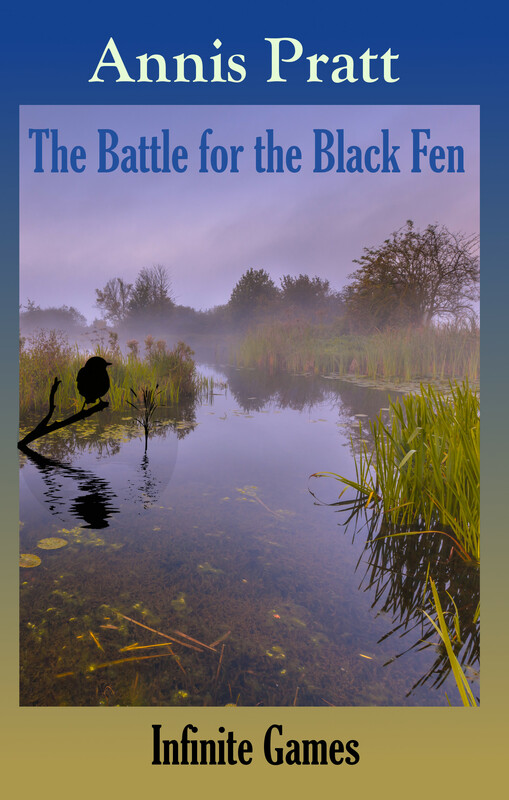 How can Cedar Haven sit idle when their Marshlander allies face destruction of their homeland? Volume III. In The Road to Beaver Mill, Bethany, who is almost twelve years old, takes flight on a winged pony from the island refuge where she has grown up. Furious at the demeaning sexism and harsh life at the fishing community where she has been sent to live, she rebels. She visits her milder-mannered cousins, where she learns about her natural father and stows away on a sailing ship to seek him. Meanwhile, her family and friends leave their island sanctuary and hear that she has been thrown into prison. They rush to her rescue. “Stand back! Take stock! Lunge! Thrust! No, Janet, no!” Joshua was trying not to shout—even from this secluded islet he knew how far voices could carry over the marshlands—but his pupil wasn’t paying attention. Thinking about her lover, he suspected, who was keeping watch with Clare. 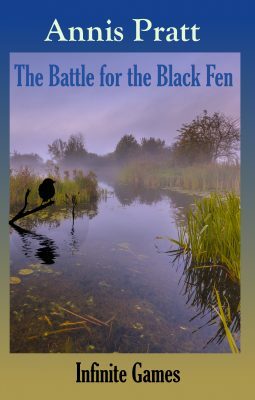 He had been trying to get Janet to lunge at a bundle of reeds he’d tied to a post; he wanted her to thrust her sword into where its midriff would be if it were a human being. Clare and Riven had done well, though they’d have to exercise their sword arms to make them stronger, but this scatty girl—you could hardly call her a woman—seemed to live in a perpetual state of distraction. Then he had an idea. “Look at the bundle and pretend Riven’s just to the side of you and it is a soldier going for her. Now, stand back and take stock—he’s going to attack Riven! Lunge! Thrust! With speed and deadly aim, Janet lept forward, plunged her sword into the bundle of straw and, growling angrily, gave it a twist for an extra measure. Clare could hear Joshua and Janet scuffling, but they were keeping their voices low and she didn’t think they’d carry over the little lagoon surrounding the islet. She worried that the dense packed willows on the other side of the water, just like the carr she was concealed in, might hide enemy eyes. So she scanned every inch of shoreline continuously, though the bright midmorning dapple of wavelets kept getting in her eyes. That was why two little coracles approached much too close to the islet. She let out the bittern boom for her Company to freeze in place. She was astonished to see the coracles freeze too, the two paddlers going entirely motionless. Marshlanders? wondered Clare—they’re the only ones know our signal. Or Reedlanders, maybe, but, God knows, our enemies could have learned it by this time. One of the coraclers had a very large head for an upper body which didn’t look like a boy’s or a girl’s but a squared off wedge. The other was a girl, she thought, though the short mop of hair seemed boyish. Both were dressed in Marshlander shirts the color of old straw, and they had been plying their paddles like children who had been coracled. There was a slight rustle in the undergrowth. Joshua appeared beside her. At the second signal from the same source, the coraclers unfroze, pulled their boats together, and one of them—the girl—could be heard arguing with the other. When she used to watch Bethany practice at wind riding, Clare always held her hand above her head, palm upwards, to wave her daughter off the cliff. It had been a kind of blessing. Bethany was setting fowling nets with Rafe. He thought they were further south than they should be, which would mean sleeping out in the marshes. That, however, was exactly what Bethany intended; she felt confined by Beaver Mill. So much obedience was new to her and she wanted a day off from their master’s critical eye. She and Rafe always worked all day long. It was time for a holiday. There was a movement on an islet. A small, thin person stood up. She had long hair tied back in a braid and was awfully familiar looking. She raised two hands—empty and outwards, in the signal for being unarmed. But there could be weapons concealed in the willows, couldn’t there? Then she raised just one hand, palm up, and waved it back and forth—just like Mother used to do when she used to ride the wind at Cedar Haven. Mother, thought Bethany. Could it be? Yes it could—it was!